Supermassive black holes lurk in the heart of every galaxy today. We don't understand how they came to be. Lynx will reach across time to collect light from the very first generation of supermassive black holes. Image credit: Robin Dienel, courtesy of the Carnegie Institution for Science (modified and used with permission). An Aesop's fable for the Universe. Massive black holes start to form as early as their host galaxies. In looking through space, we look through time. The most distant black holes are found when the Universe was only a few hundred million years old, and weigh up to a billion solar masses. We simply do not understand how they could have grown so massive in such a short amount of time. Lynx will directly observe their birth and early growth. To do this, we must observe extremely faint X-ray sources, requiring enormous sensitivity. Lynx has it, given the combined power of its throughput and angular resolution. 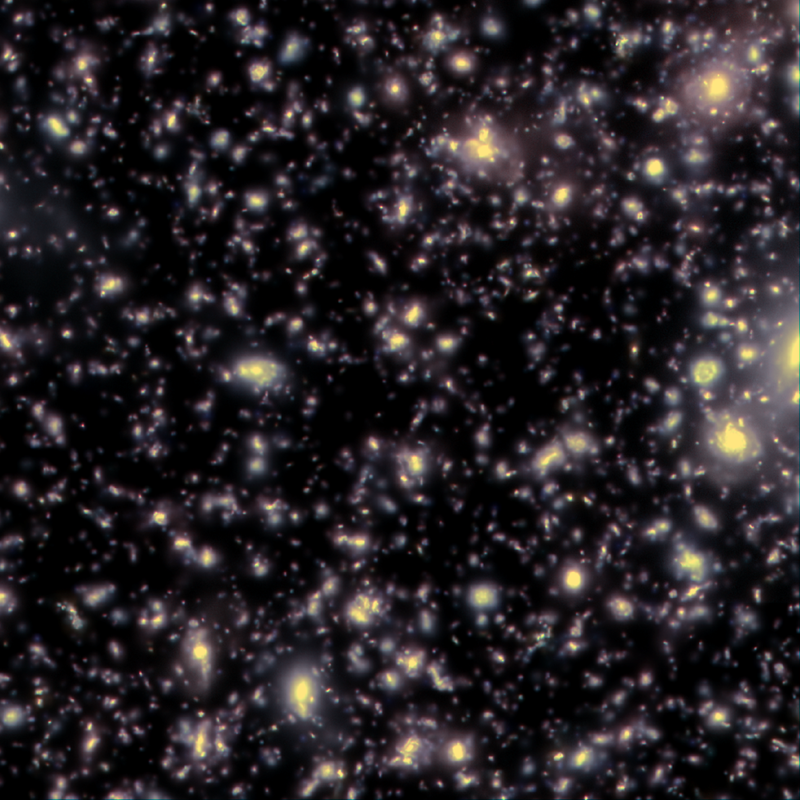 A JWST simulation of the same field. Angular resolution matters. The above animation demonstrates the profound effect of "source confusion", which will be a limiting factor for Athena. Lynx, by contrast, will not suffer from source confusion, and can uniquely associate every X-ray source with (for example) a JWST-detected galaxy. How does the growth of supermassive black holes proceed from cosmic dawn to redshift 3, and how are these SMBHs connected to their host galaxies? Do all SMBHs emerge at high redshifts or do some seeds form later or experience fast growth at lower z? Do relics of SMBH seeds reside in nearby dwarf galaxies? Lynx will answer these questions through deep extragalactic surveys, observing black holes that span a full spectrum of masses, down to a limit of roughly 500 solar masses at redshift 3. Lynx and LISA have immense scientific synergy. Both will observe the same population of black holes across Cosmic time. Lynx will observe the electromagnetic signature of their growth, while LISA will "listen" to spacetime ripples driven by their collisions. 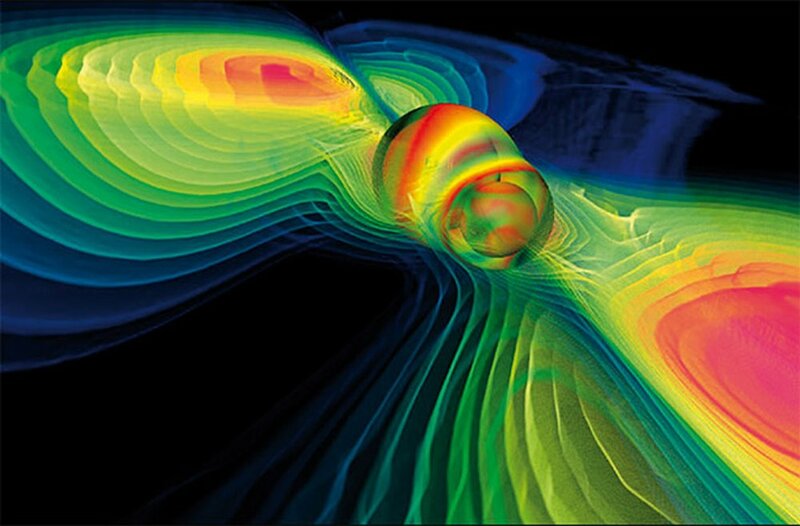 We know very little about the birth and growth of black holes. To solve the mystery, we must see and listen to a large population with the ears of LISA and the eyes of a Lynx. LISA will localize the loudest black hole collisions weeks before they happen. Lynx will be able to observe these individual events.